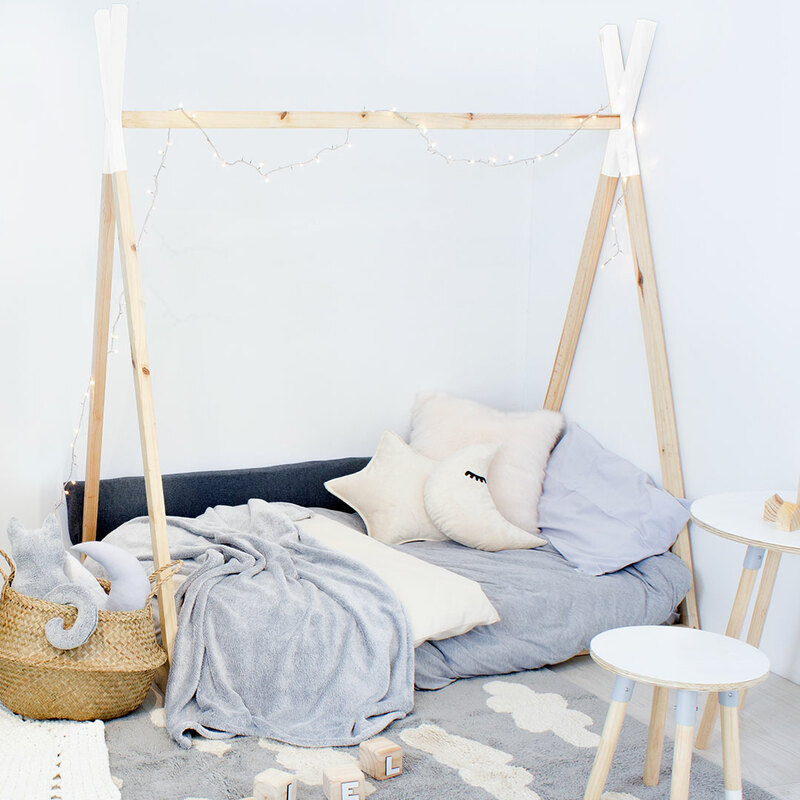 Create a magical atmosphere in your little one’s bedroom with the delightful Teepee Bed – Single. 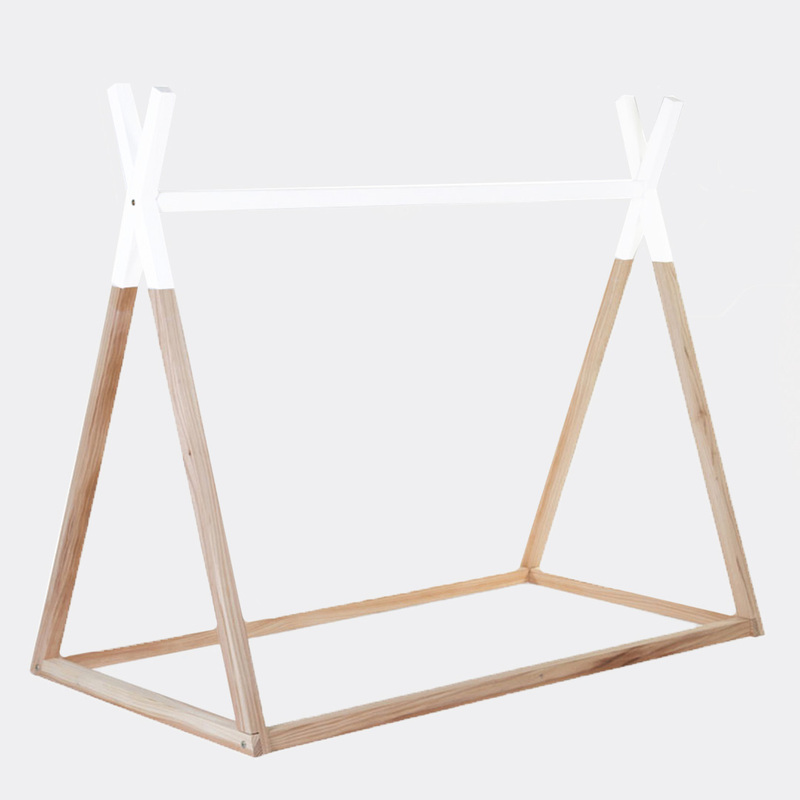 The Teepee Bed is made from high quality solid pine wood, with the A-frame crossbars dipped in white at the top. The toddler size’s floor-level base accommodates a standard single mattress sized 188cm x 90cm. 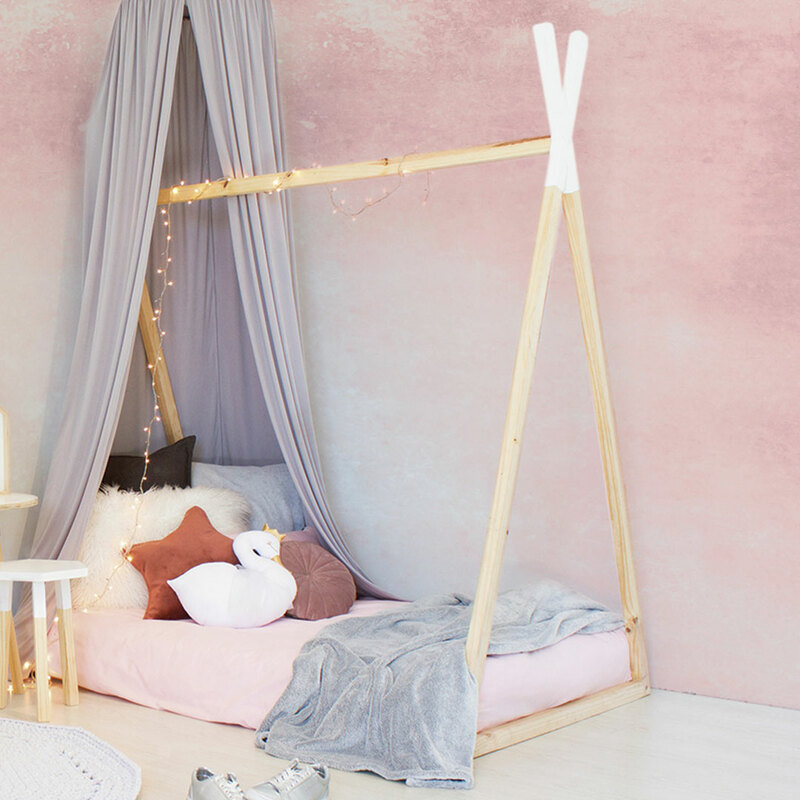 This bed is ideal for a little adventurer with a vivid imagination. Drape the frame with a blanket, canopy or mosquito net to create a cozy nest where dreams can flourish!